Scroll down to the bottom of this article to initiate your order and proceed to PayPal. Every once in a while, a book comes along that belongs not in your office, not in your barn, not in your truck. No, this book belongs on your coffee table, or maybe in the waiting room of a vet clinic or farrier shop. 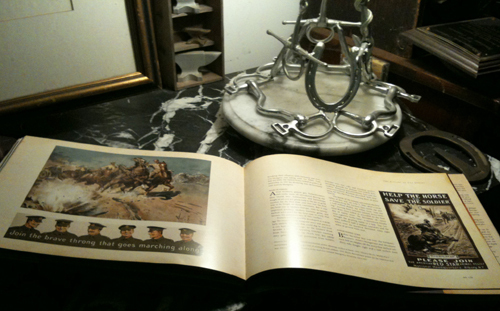 Over the years, this blog has championed the story of War Horse, from the very time it opened as a play in London in 2007. When director Steven Spielberg and DreamWorks Pictures authorized a beautiful coffee table book about how the film was made, you knew it had to be worth a look. And I'm here to report that it is worth owning, and that it is also a tremendous gift. 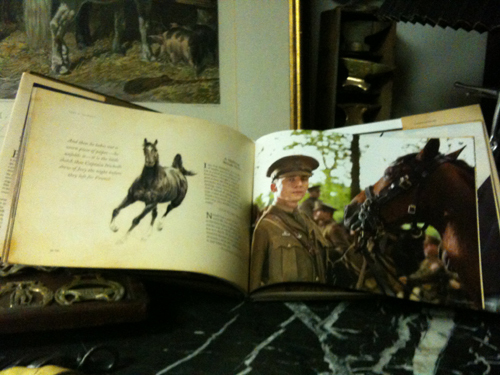 Hoofcare Books has added War Horse: The Making of the Motion Picture to the list of books and media that we sell. You can order yours today! Scroll to the end of this article for ordering link and information. The book is full color, with 144 pages, about half of which are massive full page photos taken during the production of the film. It is hardcover, with thick, high-quality paper and dust jacket. 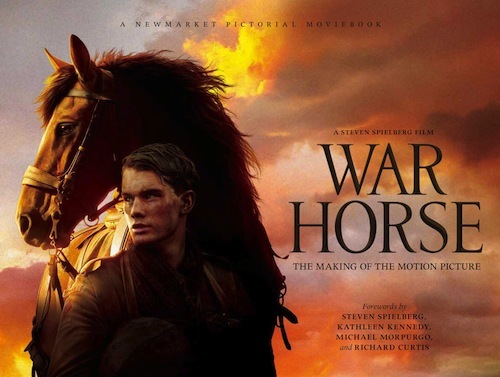 War Horse: The Making of the Motion Picture has several introductions--include one by Steven Spielberg. After the formalities, it features an introduction to 21 cast members with portraits. They're arranged in the order in which they appeared in the film, for easy reference. The heart of this book is a 70-page "Journey of Joey" section, with photos of the narrative sequence of the film, followed by 20 pages of behind-the-scenes production notes, with quotes from the crew and photos of how they lit scenes--they even show the horses having their makeup put on, so that all the Joey stand-ins looked alike! There are also beautiful sketches of set designs from the art directors and even storyboards of how scenes like the barbed wire entrapment were sequenced. 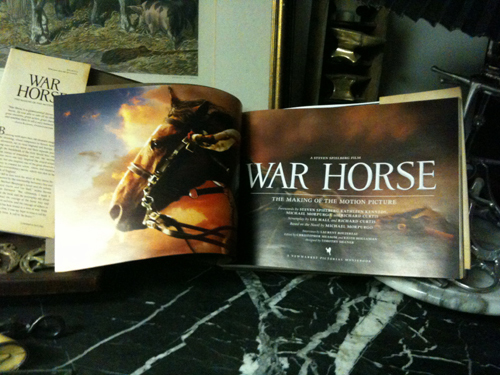 Then comes a visual (mostly) history of war horses through the centuries, ending with World War I. Cue War Horse, and then you'll want to go back and read it all again! To order online: click on the ADD TO CART button and notice there is a drop-down menu. Simply choose the postage amount: USA, Canada, or other countries. Click order. PayPal will open and you can pay via PayPal or designate a credit card. To order by phone with credit card: call 978 281 3222. By fax: 978 283 8775. By email: books@hoofcare.com. To order by mail: Send checks in US funds with the proper amount of postage ($41USA, US$50 Canada, US$60 elsewhere) to Hoofcare Books, 19 Harbor Loop, Gloucester MA 01930 USA. Prices are subject to change without notice and supply is dictated by the publisher's inventory. The "add to cart" button will direct you to an order and payment screen. Disclosure of Material Connection: I have not received any direct compensation for writing this post. I have no material connection to the brands, products, or services that I have mentioned, other than Hoofcare Publishing is active as a sales agent for the publisher. I am disclosing this in accordance with the Federal Trade Commission’s 16 CFR, Part 255: Guides Concerning the Use of Endorsements and Testimonials in Advertising.